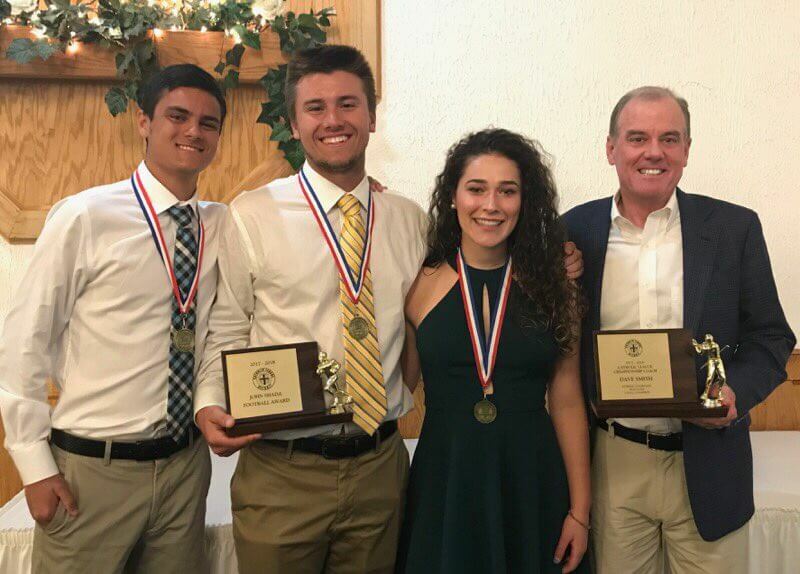 EC coach Dave Smith and athletes Grant Burgess, Kamran Nallamothu, and Katya Dominguez were honored at the Catholic High School League Scholar Athlete Awards Dinner. Grant Burgess was the recipient of the CHSL John Shada award for football. Kamran Nallamothu (basketball) and Katya Dominguez (volleyball) were both finalists. Dave Smith, Head EC Golf Coach, was recognized for his team’s four straight CHSL golf regional titles.